Seth Godin, who is an internet/new media/publishing/idea guru, just published a manifesto aimed at starting (or continuing) a conversation about the future of education. 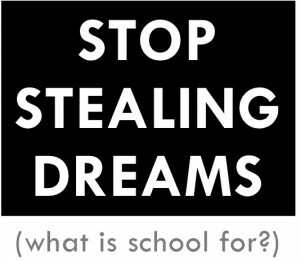 Very much in the same vein as Ken Robinson’s famous TED talk on the same subject, Stop Stealing Dreams (what is school for?) is a 30,000 word ebook that is currently available for free. Based on his previous work, it’s probably worth your time.